23red alongside NHS Blood and Transplant (NHSBT) launched an innovative new campaign across the Clear Channel digital Out of Home network. The campaign uses live data from local donor centers alongside images of real blood recipients, with the aim of normalizing blood donation and making it more personal and local. 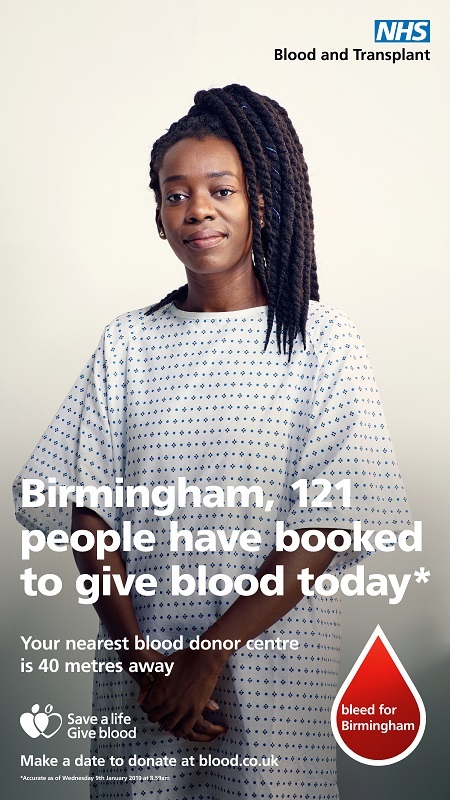 The first party data from NHSBT is used dynamically to make people aware of the volume of appointments available that day or week at their nearest donor center. It also shows its location, walking distance, the volume of first-time donors seen there in the past week, and the number booked to give blood that day. In doing so, it seeks to encourage people to visit their closest permanent donation center, as opposed to relying on mobile donation centers, by making them more aware of how many other people are donating, are planning to donate, and just how close these centers are to their workplaces and homes. 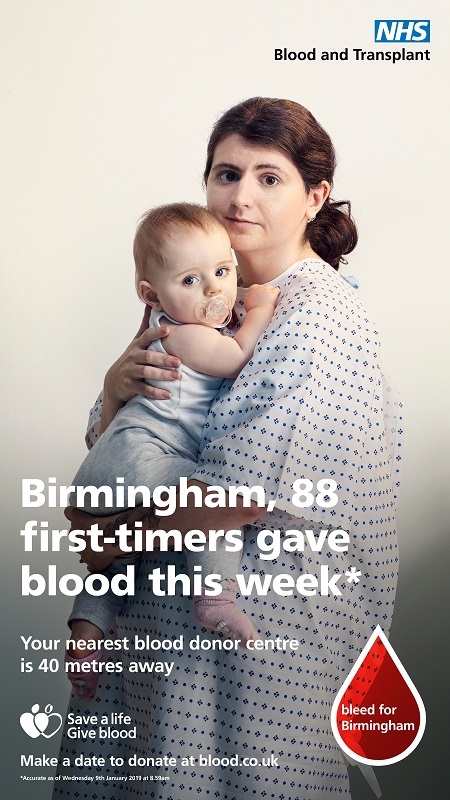 The campaign has launched across 100 sites in close proximity to permanent blood donor centers in Leeds, Sheffield, London, Liverpool, Birmingham, Gloucester, Bradford and Poole. Often people only think of blood donation when someone they know has needed it or when there’s a major accident. What we wanted to do with this campaign is to normalize blood donation by feeding live NHSBT blood donation data onto a digital screen on your high street, showing real appointments as well as blood donations happening in your neighborhood. We hope the data-led approach combined with the emotive imagery strikes a chord with people. 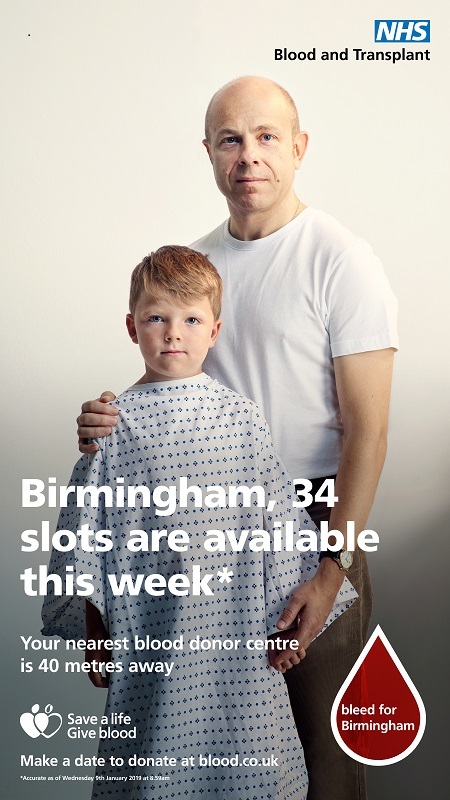 What we love about this campaign is that it tells an emotive story, through the imagery, to connect with specific donor groups that are needed. It also tells people where their nearest center is and just how easy it is to start donating there on a regular basis. Our hope is that people start the New Year with good intentions and they will be inspired to register as new blood donors. For our amazing existing blood donors, it will remind them to support their local donor center by highlighting available appointments to donate. 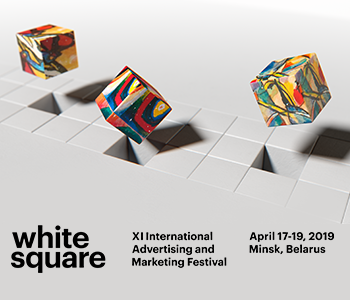 This campaign is the gold standard for digital Out of Home – perfect planning to target the right locations, alongside data-led copy that’s relevant for the audience, and beautiful engaging visuals. We’re exceptionally proud to be working with NHS Blood and Transplant and 23red on this campaign, which will make a real difference in saving lives around the UK. NHS Blood and Transplant is a joint England and Wales Special Health Authority, providing blood donation service for England and the organ donation service for the UK. NHS Blood and Transplant needs to collect 1.4 million units of blood each year to meet the needs of patients across England.